ANAHEIM, Calif. -- Walt Disney Parks and Resorts made several announcements for Walt Disney World and Disneyland during the D23 Expo in Anaheim on Saturday. Disney unveiled plans for a Star Wars-themed resort as part of the "Disney 360" experimental vacation concept. 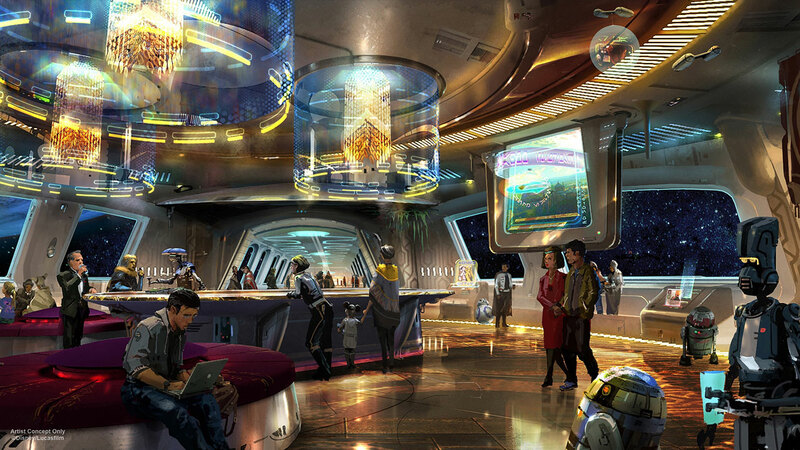 The resort will allow guests to completely immerse in the Star Wars story during their stay. “From the second you arrive, you will become a part of a Star Wars story," said Bob Chapek, chairman of Walt Disney Parks & Resorts. "You’ll immediately become a citizen of the galaxy and experience all that entails, including dressing up in the proper attire. Once you leave Earth, you will discover a starship alive with characters, stories, and adventures that unfold all around you." The resort's opening date was not announced. Chapek also announced a new TRON roller coaster coming to Magic Kingdom. The attraction will be located near the existing Space Mountain attraction and will allow guests to "board a train of two-wheeled Lightcycles." The attraction, a clone of the popular Shanghai Disneyland ride, is expected to open prior to Disney World’s 50th anniversary in 2021. Star Wars: Galaxy's Edge confirmed as the name of the Star Wars lands coming to Walt Disney World and Disneyland. The Mickey and Minnie’s Runaway Railway attraction will be built at Disney's Hollywood Studios in Florida and will take guests on a ride through the "wacky and unpredictable world of a Mickey Mouse Cartoon Short." Guardians of the Galaxy and Ratatouille attractions coming to Epcot in Florida. A new gondola transportation system at Walt Disney World. A new Disney Cruise Line ship will launch in 2022. Spiderman and Avengers attractions coming to Disney California Adventure in Anaheim. "We have ambitious plans for our parks and resorts around the world,” said Chapek. “We’re investing in the guest experience like never before."